A tax by any other name is still a cost, as Shakespeare might have said. However, of course, the words we use to describe things can amplify or minimise, and some have greater power than others. One of these is “tax”; something perhaps the OECD understood when they released a report recently that described the costs of Britain leaving the European Union as a “Brexit tax” of £2,200 per UK household. It was a catchy claim that raised eyebrows and was widely reported – the idea of an additional tax on hard-pressed households is easy to understand and emotionally involving. The OECD report is one of many examples that invoke taxation to frame issues in ways that influence voters. Compare “bedroom tax” or “spare room subsidy”; “poll tax” or “community charge”; “death taxes” or “estate duties”. Those with an eye on public perception often attempt to use the negative associations of taxes. It shouldn’t really work as people are generally positive about the idea of paying taxes in exchange for services, and rationally, we should only care about the cost to ourselves. However, the evidence is that we particularly dislike costs that come in the form of a tax. For example: there’s a television you want to buy, but you know that the same television is on sale VAT-free in another shop a five-minute drive away. Would you make the drive? How about if instead the retailer was offering the same money off, but described it as a straight discount? The cash savings are the same, but research suggests that people are more motivated by the chance to avoid the tax than to receive a discount. In other studies in the same paper, people’s preference for the higher-risk product depended on tax – if they expected to receive US$120 tax-free, it was preferred over a US$160 payout but with a US$40 tax surcharge. This “tax aversion” even affected people’s preference for where to live: given a scenario in which they were to be relocated to one of two European countries, participants preferred a low-tax country with high costs of living to high-tax country with low costs of living, even when the net financial costs were equivalent. As well as these hypothetical situations, other researchers have found similar tax aversion effects where people were paid real money for completing computer-based tasks. When their pay was subject to tax, they elected to complete fewer tasks than when their pay rate was just reduced by an equivalent amount. Therefore, tax aversion is real, and it is irrational. It also tends to depend on political views. Those on the right demonstrate greater initial aversion to tax than those on the left. Yet when questioned more closely, people across the political spectrum tend to have a relatively positive attitude towards paying taxes, particularly in Northern Europe and America. In addition, although those on the political right tend to have more negative attitudes towards taxation and state spending, they also have a stronger sense of moral obligation to pay the taxes they owe. Perhaps it’s because the immediate response to a tax is to think of the personal cost rather than the benefits to society. Certainly, politicians try to avoid using “tax” to describe their own policies, while trying to use the label to describe those of their opponents. Prime Minister David Cameron resolutely stuck to the term “spare room subsidy” rather than “bedroom tax” in the House of Commons, but even he struggled at times to remember which he was supposed to use. He knew that once it became known as the “bedroom tax”, it would be a harder sell. Similarly, when the Thatcher government introduced the community charge in 1990, opponents quickly reframed it as a poll tax. The name stuck, and the tax was withdrawn three years later. 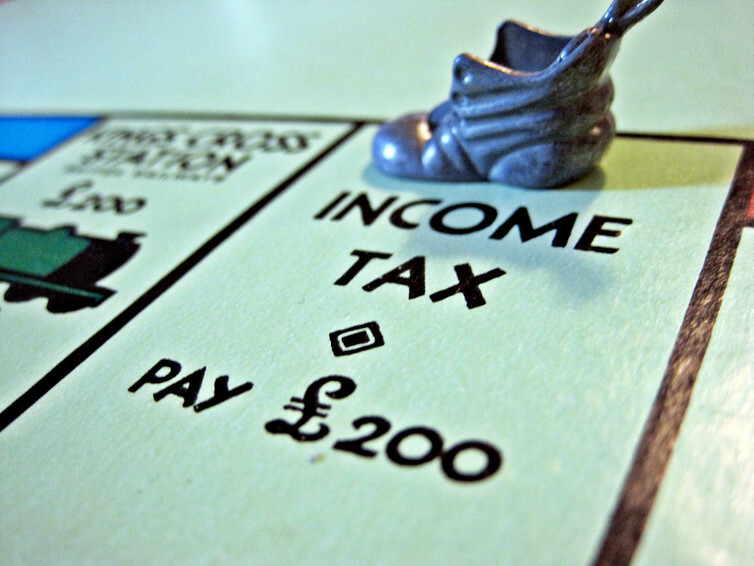 In addition, when it comes to National Insurance, no one wants to call it a tax. Although there is no clear evidence, research in similar areas suggests the potential effects of labelling around taxes. In the US, there has been a concerted effort among some Republicans to recast inheritance, or estate, duties as “death taxes”. Effects on public acceptance were mixed, but it did cause people to assume that many more people would be subject to the tax. More and more, politicians are using findings from psychology and behavioural economics to frame their policies in a good light and those of opponents in a bad light. As economic policy is generally seen as complicated and irrelevant to everyday life, voters are less likely to look at the arguments in detail and more inclined to make up their mind using mental shortcuts, and this leaves them open to manipulation. This is an arms race of sorts: if one side uses it, the others must also to keep up. It will be interesting to see whether the OECD report has the desired effect when people go to the polls for Britain’s June 23 referendum. Those with strong opinions are unlikely to be influenced, but for the undecided and relatively un-engaged, lingering thoughts of another hefty household tax bill are likely to accompany them into the polling booth – much more so than would the idea of a 3% reduction in GDP.